I had to write about the Jewish and Christian calendars. Why? The short answer is that I care deeply about discipleship, and the calendar is one of the original discipleship tools found in the Old Testament. In the non-denominational congregations of which my husband and I have been a part, the civil calendar drove our church life together. 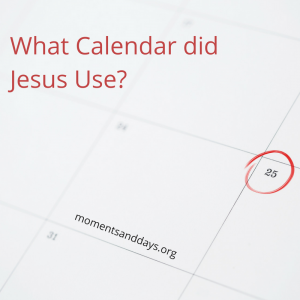 This calendar included space for some special, usually evangelism-based emphases during December for the Christmas season, as well as services for Good Friday/Easter morning. We have also been a part of Anglican and Lutheran congregations that have used the Christian calendar. Those years taught me that a different calendar was a part of what forged a different kind of practices and identity among these congregations. I’d grown up being imprinted by the calendar: my Jewish upbringing had shaped me by the rhythms of the feasts described in Leviticus 23. This was the calendar Jesus knew, and it was the calendar from which the Christian calendar emerged. As my husband and I are both Jewish followers of Jesus – we each came to faith in him during our teens – we continued to maintain a modest connection to the Hebrew festal calendar as we were raising our children, as we hoped to give our children a connection with their Jewish birthright. I learned during those years that while connection to a calendar can be an important learning tool for families, it carries a different weight in a family when an entire community is formed by its rhythms. I began wondering about how the Hebrew calendar Jesus knew became the church year calendar used by the church. After a trip to Israel, I began researching the topic on my own. 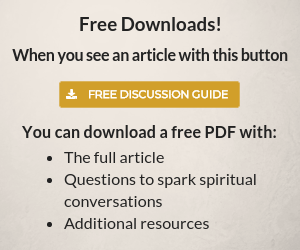 I asked lots of questions because I valued both the Hebrew festal and the Christian calendars, and understood that both calendars framed time in terms of God’s salvation story – albeit in very different ways. These calendars do not exist so we can pencil in days of celebration and sorrow alongside our oh-so-important schedules. Instead, each calendar demands we prioritize our lives according to their rhythms, because their rhythms represent God’s saving work in our lives and in the world. What does it mean to “inhabit time”? But here we are, living in finite time. 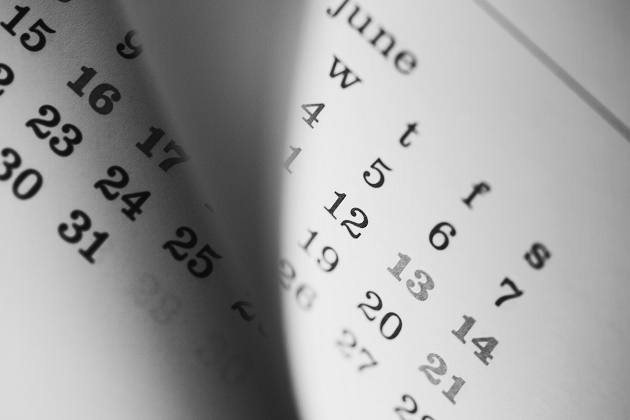 Our own appointment calendars and schedules define our days, and describe our lives. To inhabit time is a shorthand way of saying that we can live with intention, that our Day-Timers don’t define us. The calendar described in Scripture – and the calendar developed by the early followers of Jesus – each present to us us a way to live at the intersection of time and eternity. What is the biggest challenge for a 21st century Jewish follower of Jesus? There are some challenges unique to Jewish followers of Jesus. Questions of identity and assimilation are true of all Jewish people. Jewish followers of Jesus are often viewed as traitors or non-Jews by the Jewish community. It is understandable that there is resistance from the Jewish community, as a lot of horrible things have been done to the Jewish people in the name of Jesus over the last two thousand years. There are also major challenges Jewish believers face in the church including pockets of anti-Semitism and some bad theology. However, Jewish followers of Jesus face the same challenges as do their Gentile brothers and sisters. How do I follow Jesus faithfully every day? How will reading Moments & Days change me for the better? It is my prayer that the book will strengthen the faith and practice of readers, and the material will spill over into the lives of their families and faith communities. 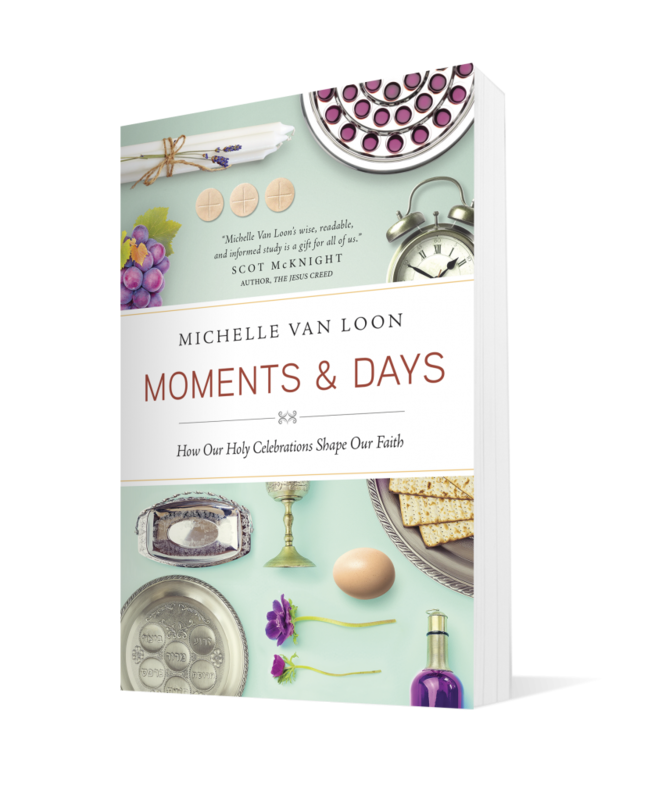 Moments & Days offers readers a look at each holy day and season in both the Jewish and Christian calendars, a discussion about how one emerged from the others, and practical coaching about how to reclaim your own calendar from the tyranny of the Day-Timer urgent so you can live with intention, discipled in time. Learn more about Michelle and her work on her website. I find history much more interesting as I get older. The edicts of Constantine to worship on Sunday have changed the early Christian’s obedience to the 4th Commandment. Then the Frech calendar eliminated bothe Saturday & Sunday worship by using a 10-day week calendar instead of 7. 3 weeks/30-day month, 12 months for 360-day/year. The extra days were set aside for agricultural “holidays”. This was the attempt to eliminate loyalty to any deity. The French Revolution was more successful in spreading the metric system. God is in control of time, but not bound by it. What exactly is the Christian calendar? Is it one that observes holidays like Easter and Christmas which are traditionally pagan celebrations? The calendar YHVH established went by the moon & sun & He never changed it. Days begin at sundown. Months begin at the sighting of the new moon from Jerusalem. The year begins the new moon after the aviv barley. The Hebrew calendar used today was created in 359 CE by Rabbi Hillel ll. Amen, i am new to this and trying to figure this all out. do ppl in USA use the sighting of the new moon crescent i Jerusalm ? Or will 0ur Sabbath be a day before Jerusalam? Hi there, the Jewish Calendar and Jesus Calendar as well the Mohammed which refers to the Arabic Calendar goes with the moon and it starts at sunrise during the day to the sunrise of the next day which is the equivalent of 24hours in our time that we currently use everywhere. History has a lot to offer and also correct! So is the Gregorian calendar used today has the saturday as the Lord’s true SABBATH day? Yes i was wondering the same because if days were changing before gregorian calendar how can we know that saturday is the sabbath for sure. My brother in Christ left the sunday service for a saturday service for obedience to the sabbath and keeping it holy. Which sabbath days did Jesus follow? The Gregorian calendar and the Julian calendar differ on the Sabbath Day in these modern times.So which Day is the true Sabbath if we dont use the lunar calendar?Did Jesus use the Julian calendar or did He use the lunar calendar?….Does if matter which one we use as long as we work 6 days and rest on the 7th day? I am so confused. Sabbath day is translated as Saturday ,Sunday is the first day of the week and Saturday is the seventh day. The Gregorian calendar,Julian and the lunar all differ on which day is the true Sabbath.WHICH CALENDAR DID Jesus use? Julian calendar differ on the Sabbath Day.So which Day is the true Sabbath if we dont use the lunar calendar?Did Jesus use the Julian calendar or did He use the lunar calendar?….Does if matter which one we use as long as we work 6 days and rest on the 7th day? I am so confused. If you’re in space then time doesn’t apply to you, thus you will live “forever and ever” like the stars in heaven. He was talking about space-time. Will someone please leave the answer for me to see? I know nothing much about planet’s or math and I’ve been trying to get out of the wrong day of worship. Pray for all of us. There is no wrong day to worship. We can worship whenever we want, that is the freedom we have in Christ. Wrong Christ didn’t come to change His Father’s rules and laws like we’ve been taught to believe. He doesn’t change. Christ came to show us how to fulfill them. He says what day the Sabbath is on. It’s the 4th Commandment. We just can’t worship Him any day we want. We worship Him on the day He tells us too. The 7th day. He is God and we are not. Read your whole Scripture. We can meet together for praise and worship every day if we choose. Genisis decribes 7th day for all to rest and not work. It became jewish culture for men to meet at synagogue read and discuss scriptures from their ‘Good Book’, different to ours and our church services process. 4th commandmend does not at all say ‘Gods most loyal and faithful attend church service only on Saturdays’ and cramming Saturdays with as many church meetings as possible is not resting.